The foam-padded sling strap comfortably distributes the weight of the bag for comfort while carrying. The exterior of the Jazz 76 is made of 600D polyester and the interior is foam-padded and features adjustable dividers. Compatible with Tamrac Modular Accessory System. Portability is via the removable, adjustable shoulder strap, belt loop, or top grab handle. Tamrac Photo-Video 1 camera bag. tamrac camera bag. Condition is Used. Dispatched with Royal Mail 2nd Class. New listingLarge Tamrac 697 Rolling Backpack for camera equipment. The front pocket is foam padded fora 15" screen laptop, such as Apple's 15" MacBook Pro or others up to 11.75" x 2" x 15.50". Weight: 11 lbs. 32 x 27 x 57 cm. 30 x 15 x 43 cm. Tamrac Camera Bag. Great condition! Any questions please ask. Tamrac camera backpack Adventure 2. Condition is Used. Dispatched with Royal Mail 2nd Class. Designed to give you easy-to-access protection for all your lenses, Tamrac Goblin Lens Pouches are made to fit a wide range of lens types and sizes. 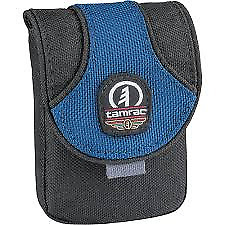 Tamrac Goblin Lens Pouch 0.3 features Tamrac Goblin Lens Pouch 0.3 specification. (Condition is Used. I've used it with a Nikon D70 and D7000 but with small lenses attached (not a 70-200 f2.8 :)). Needs to go to an owner who will use it and enjoy it. THE most useful and flexible production bag I've ever owned. Loads of pockets of useful size, moveable partitions in the main area and great padding that genuinely protects the contents, including glass filters/ lenses etc. Condition Used, : excellent condition. Will only dispatch within UK. Tamrac Cyberpack 8. Condition is Used. Dispatched with Royal Mail 2nd Class. Holds x5 82mm or smaller. 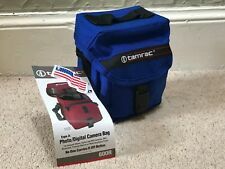 Tamrac DSLR Bag. Condition is Used, all zips, buckles and straps work fine. All proceeds to St Gemmas Hospice, Leeds. Dispatched with Royal Mail 2nd Class. USA made construction with quality USA made components: YKK USA zippers, DuPont PowerGrip Cordura fabric, National Molding buckles. Converts to belt bag. Quick Release Buckle or convenient access under most conditions. 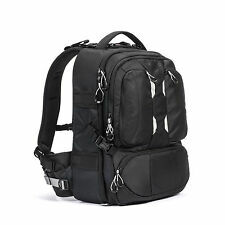 Tamrac camera backpack, Trade Wind model Ta T146513 Grey 24 litre. 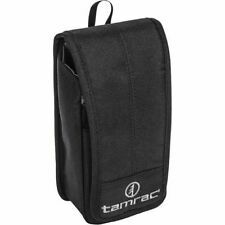 Tamrac camera backpack, Trade Wind model Ta T146513 Grey 24 litre. . Condition is Used. Three compartment backpack, bottom section padded with inserts for camera etc. upper compartment has removable base to increase capacity, small separate laptop pouch, mesh pockets on either side. 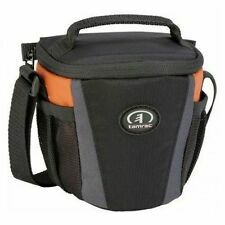 Overall measures 47cm high, 20cm deep and 30cm wide, lower camera compartment measures 18cm high and 30 cm wide. Very little used, excellent condition. The mid-sized Apache 4.2 provides enough room for a compact DSLR and a few lenses, plus a dedicated tablet sleeve large enough to house an iPad Mini. Available in Chocolate brown colour, each model includes a black rain cover. The Tamrac MAS Modular accessory belt is designed to work with most of Tamrac’s modular accessories. If you're serious about your gear, this bag was designed for you, the working pro. The patented LensGates create efficient use of the space, while multiple pockets and the included accessory pouches keep you organized. Tamrac Hoodoo 20 features Tamrac Hoodoo 20 specification 29 x 42.5 x 15 cm. Designed to fit. Portability is via the removable, adjustable shoulder strap, or top grab handle. Fully adjustable shoulder strap. Adjustable dividers protect extra lenses and flash units. Protecting the interior is a large flap with touch-fastening fabric and buckle closure. For quieter shooting simply deploy the silencing tabs. And for weather protection, there's an included, seam-sealed rain cover. A foam-padded sleeve inside the front pocket holds and protects an iPad or other tablets of similar size. The exterior of the bag is crafted from 600D polyester and the foam-padded interior features adjustable dividers. 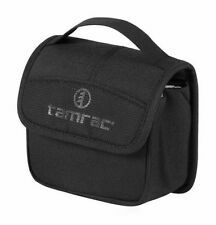 Tamrac Explorer 100 in BLACK (5561). 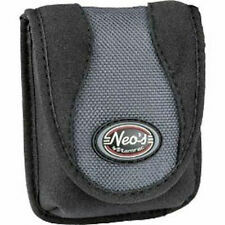 Inside the lid is a smooth nylon pocket for holding lens cleaning paper. An adjustable, removable BioCurve non-slip shoulder strap, and an EasyGrip carrying handle provide convenient carrying options for the Explorer 100. Tamrac logos on zipper heads and embroidered on front and end pockets. - khaki green canvas with black trim and shoulder strap. - there are side pockets at each end, each with padded fronts and a flap cover, secured with strong hook and loop fastenings (14x14cm). Plus includes a black rain cover. Expandable side pockets. Customisable divider set. Tamrac Goblin Lp.3 Lens Pouch.